Mario Kart has been keeping up to speed for Nintendo over the past few years, particularly with the Nintendo Switch port of Mario Kart 8 Deluxe, which has sold millions of copies during its release back in April. But now the racing series is about to hit a whole new audience – the mobile front. Nintendo confirmed on Twitter this evening that a new Mario Kart game would be available for mobile devices sometime within the next fiscal year. “The checkered flag has been raised and the finish line is near. 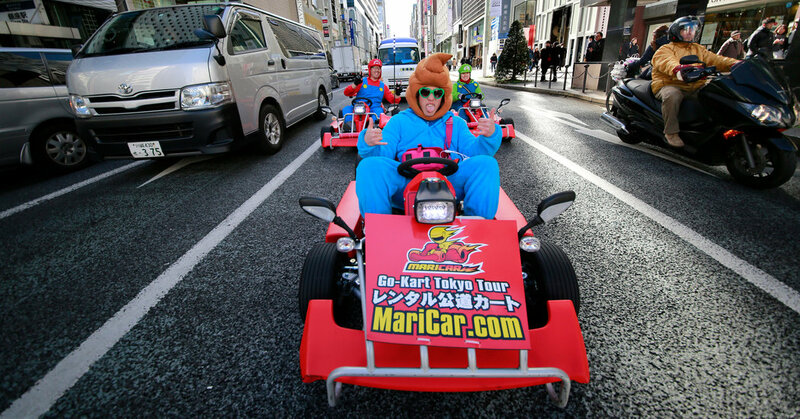 A new mobile application is now in development: Mario Kart Tour!#MarioKartTour Releasing in the fiscal year ending in March 2019,” the company noted. There aren’t too many notes about the game past that, although we did get a good look at the logo above. Judging by how it appears, we could very well be seeing a port of the best-selling Mario Kart DS, or maybe even Mario Kart 7, depending on what the company has in mind. They didn’t really say yet, so your guess is as good as ours. There’s also the question of how Nintendo will set up pricing for the game. Its previous mobile releases, including Super Mario Run and Animal Crossing: Pocket Camp, were set up as free-to-play, with purchases to enhance the experience in a certain way, like unlocking levels or extras. It’s unsure how Nintendo would move along with this when it comes to Mario Kart. Will it only be making a few tracks available with others that have to be unlocked? Will it only offer a trial version with more to be unlocked as time goes on (or with purchases)? Or will it just be premium priced with all the content available? Again, Nintendo hasn’t said, but we’ll keep you informed. The fact that Nintendo is moving forward with Mario Kart on mobile devices is a huge step forward for its initiative, and we’d love to see what kind of gameplay it’ll have. For instance, will you actually be able to steer with your mobile device? That’d be interesting to do. We’ll keep you informed on any new details we get on the game!